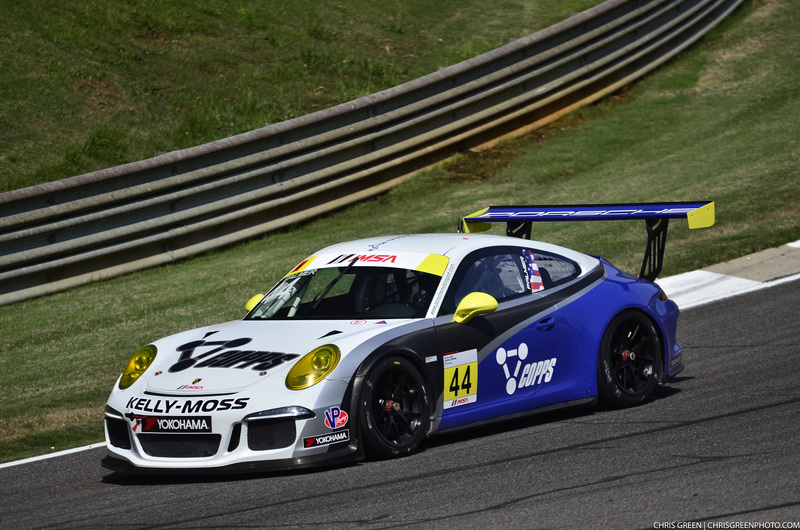 Birmingham, Ala. (18 April 2017) – 2016 series champion Kelly-Moss Road and Race (KMR) looks to continue the team’s winning ways this weekend as the IMSA Porsche GT3 Cup Challenge USA by Yokohama series heads to Barber Motorsports Park to stage the second event of the 2017 season. 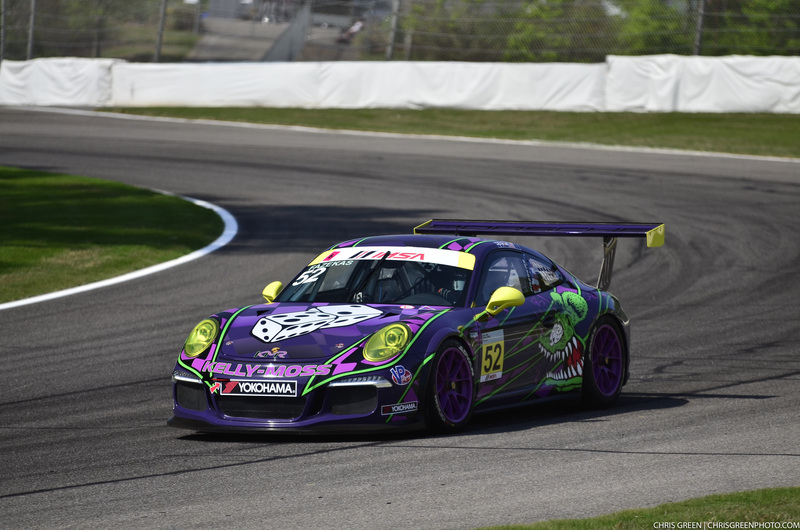 KMR driver Jake Eidson (Littleton, Colorado) scored a victory in the opening weekend at Sebring International Raceway, taking second and first place finishes in the first event to feature the all-new Porsche 911 GT3 Cup (991.2) machine. With the edge in the championship standings, Eidson is focused on converting the well-earned opportunity he has thanks to the Hurley Haywood Scholarship into another title for KMR. The No. 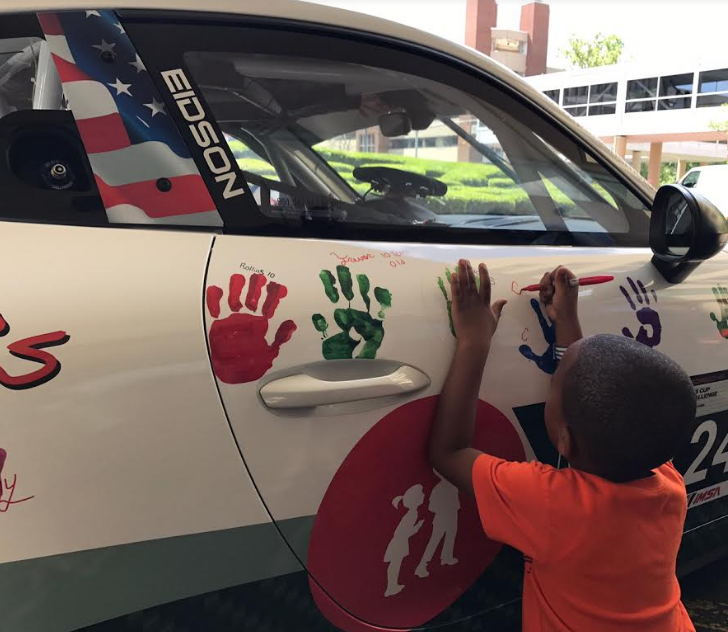 24 Porsche entry will be sporting a special livery at Barber Motorsports Park with handprints and signatures from patients at Children’s of Alabama Hospital. Eidson visited the hospital with his race car on Tuesday. A group of children will visit the track and tour the KMR paddock area on Saturday. Eidson will be joined by his KMR teammates Kurt Fazekas (Indianapolis, Indiana) and Greg Palmer (Colgate, Wisconsin) this weekend. Official practice kicks off the weekend on Friday with qualifying on Saturday. 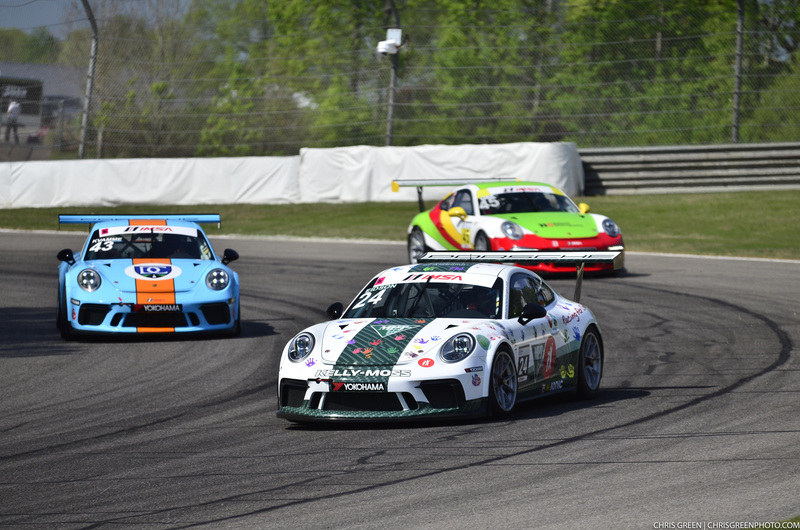 Race 1 goes green at 1:00 PM local time (2:00 PM ET) on Saturday, April 22 with Race 2 set to go green at 8:45 AM local time (9:45 AM ET) on Sunday, April 23. 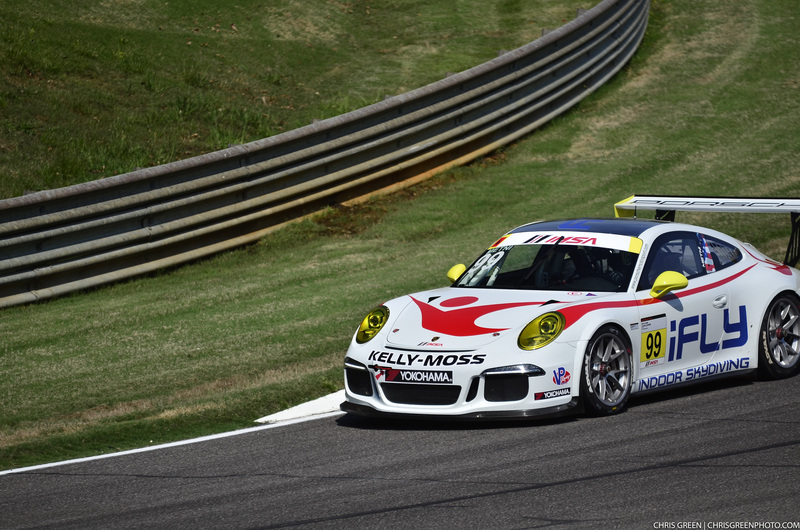 Qualifying: 8:05 – 8:25 a.m. Round 1 (45 minutes): 1:00 – 1:45 p.m. Round 2 (45 minutes): 8:45 – 9:30 a.m.